Can’t find the answer to your question? Contact Us or give us a call +1-(808) 696-4414 7:30AM ~ 8:00PM daily. A rash shirt and/or swim shorts if you’re looking for more protection from the sun. We also offer wetsuits for rent for $10 per person. Seasickness medication. You can pick up seasickness tablets cheaply from local drugstores, or, if you only ever experience very mild motion illness, ginger-based drinks can help stave it off. We also offer reusable PSI bands for purchase on the bus for $25 (pack of two). *We do not recommend bringing expensive jewelry or technology that is not waterproof. Dolphins and You is not responsible for lost, stolen or water-damaged items. We do not recommend bringing expensive jewelry or technology that is not waterproof. Dolphins and You is not responsible for lost, stolen or water-damaged items. *While you can bring a camera, we do not recommend it. Our professional photographers can capture your entire tour with us so you can fully be in the moment with the dolphins. Not to worry! Our crew is made up of safety certified lifesavers and free divers. Additionally, life vests are made available to all guests to keep you afloat. Is there an age limit for swimming with the dolphins? We recommend that only guests who are 2 years and older join our tours. The boat is not child-proof. We do not have a changing table on board. Infant life vests are stored at our harbor, and it is the responsibility of the parent to alert our crew of the need for an infant life vest before the vessel departs. We do not offer a discount for children less than 2 years old. All other ages are welcome! We have life vests for all ages. Our trained crew of lifesavers and free divers are excellent at helping first-time snorkelers feel comfortable in the water. In the water and on the boat, however, small children should always be accompanied by a parent or guardian. There is no max age for the dolphin swim. Hawaiian Spinner Dolphins are wild marine animals, so we cannot guarantee that we will encounter them. However, the vast majority of our tours (more than 90 percent) do see and swim with dolphins. Can I touch the wild dolphins and turtles? No. Touching marine life and coral is illegal by Hawaii state law. Contact with human skin can make dolphins and sea turtles more susceptible to disease and cause them stress. But the animals often come close by our guests, and simply being in their presence is incredible. If I don't want to swim with the dolphins, is there another price option? We do not currently offer separate pricing for those who choose not to swim. 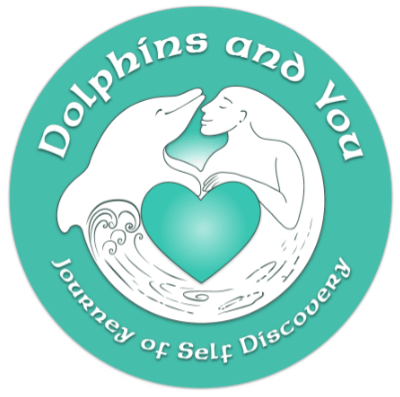 We will begin offering dolphin watching packages in 2019. What is the water temperature in Hawaii? Will I need a wetsuit? Hawaiian waters range from about 77 degrees F (25 degrees C) in the wintertime to 82 degrees F (28 degrees C) in the summertime. Though this is much warmer than the natural ocean temperature in most parts of the world, you still may feel cold in the shade or rain in just a swimsuit. We offer wetsuits for rent at $10 per person. You may bring your own camera on board. But we recommend letting our professionals capture your experience so that you can fully enjoy your tour without worrying about getting the shot! If you want to bring a camera underwater, make sure it is waterproof and that it floats. Dolphins and You offers professional photography and videography for an additional $60 (photo only) or $100 (photo and video combo). The photo packages usually contain around 300 over- and under-water shots, and the video is usually around 20 minutes long. We document the experience from beginning to end. I bought a media package. How do I receive my photos? A USB will be created with photos and/or video from your tour. The USB will be available for pick-up at our office in Waikiki the day of your tour from 2PM – 7PM if you took the early tour (6AM) or from 5PM – 7PM if you took the later tour (9AM). You may also pick up the USB any day after. Our office is located at 307 Lewers Street, Suite #401, Honolulu, HI, 96815. Alternatively, we offer shipping within the US for an additional $5 or international for an additional $15. Call our office to inquire about shipping your USB: 808-696-4414. Does Dolphins and You provide transportation? We provide transportation from and to 10 locations within Waikiki and Ko Olina free of cost. It is included in your trip price. Alternatively, you may meet us at the Waianae Boat Harbor if you would like to provide your own transportation. Will I see whales during the tour? Join us for a whale watching tour between the months of December and March! Learn More. There is a public restroom in the harbor, and there are two full restrooms on board the boat. There is no restroom on the tour bus. Can a person in a wheelchair participate? Our boat is not wheelchair friendly, and wheelchairs are not permitted on our bus transportation. Please consult our office (808-696-4414). We have a ramp onto the boat, but it is only 19 inches wide and it does not have railings. Can I participate during my menstrual cycle? Yes. Please use feminine products made for swimming. We allow pregnant women to take part in our tour, but advise that it may not be safe during later terms. Please be careful not to slip and fall on board. Are we allowed to drink alcohol on the boat? Because this is a snorkel tour, alcohol is not permitted on board the boat. Safety of the passengers is our primary concern. Am I required to tip? Tipping the crew is appreciated but not solicited. A tip jar is made available to guests at the end of each tour. Tour fees will be fully refunded if cancellation is made more than 24 hours prior to the start of the tour. Please note that the tour starts early in the morning (departing Waikiki at 6am HST and 9:30am HST). Fees will be refunded fully if a doctor’s note is presented for cancellations made within 24 hours before the tour.